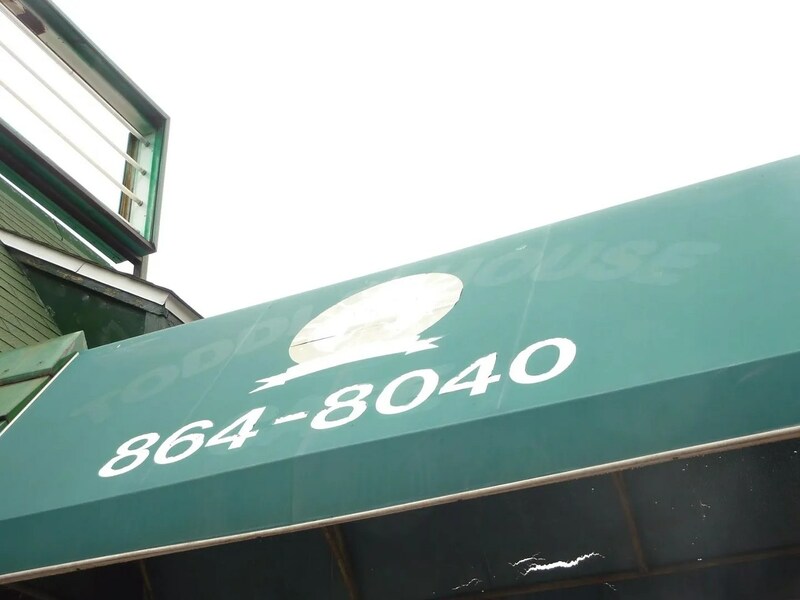 While on the topic of the Toddle House chain, mentioned in the post about Peter’s Carry Out, let’s take a look at the other Bethesda location, which came in in the early 1990s. They took over the Wisconsin Avenue Little Tavern location after that chain went out of business. They also took over the College Park Little Tavern, around the same time. 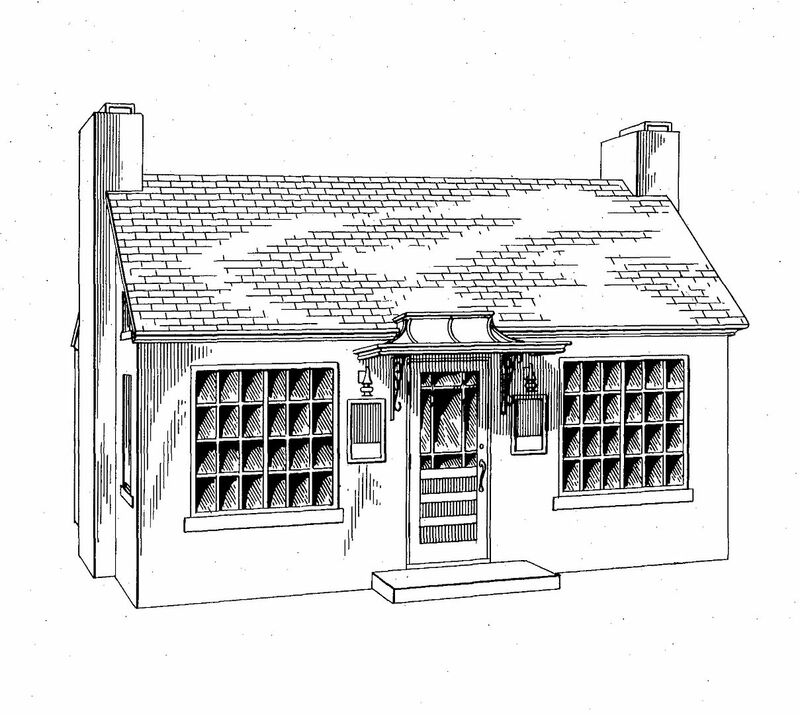 The architecture and layout of the Little Tavern shops was perfect for a Toddle House takeover- similar Tudor cottage style, similar counter/backbar setup. As a Toddle House, this location didn’t last very long. It has been a Golden House Chinese restaurant for over ten years. 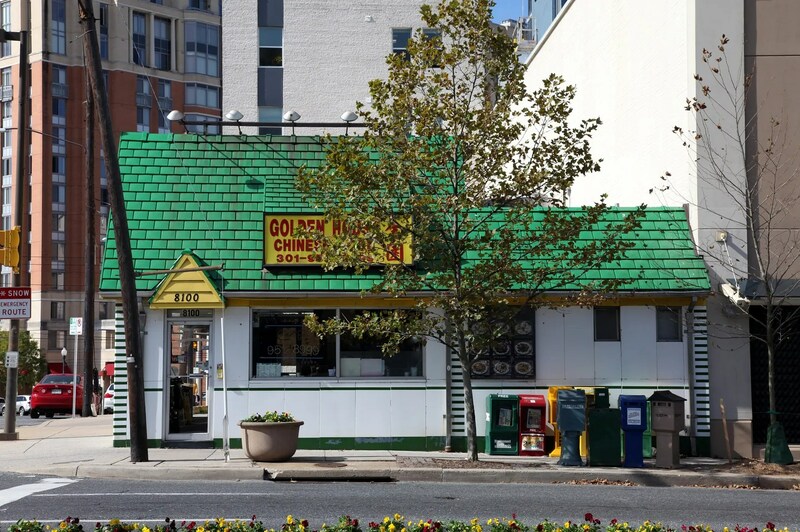 At the time these pictures were taken, Golden House had already taken over one of the Silver Spring Little Tavern locations. 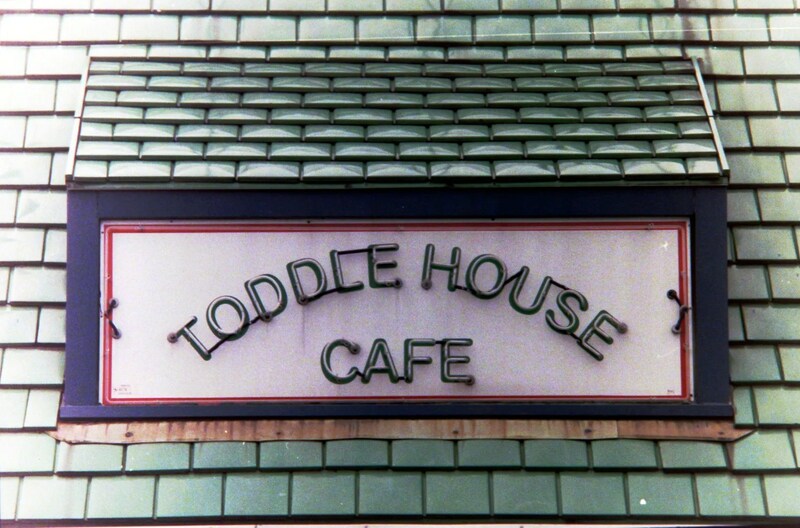 The Little Tavern neon was removed, and the tubes re-done to read Toddle House, in a matching color scheme. This was one of the better repurposings of a former Little Tavern. The universal sign of the coffee cup. 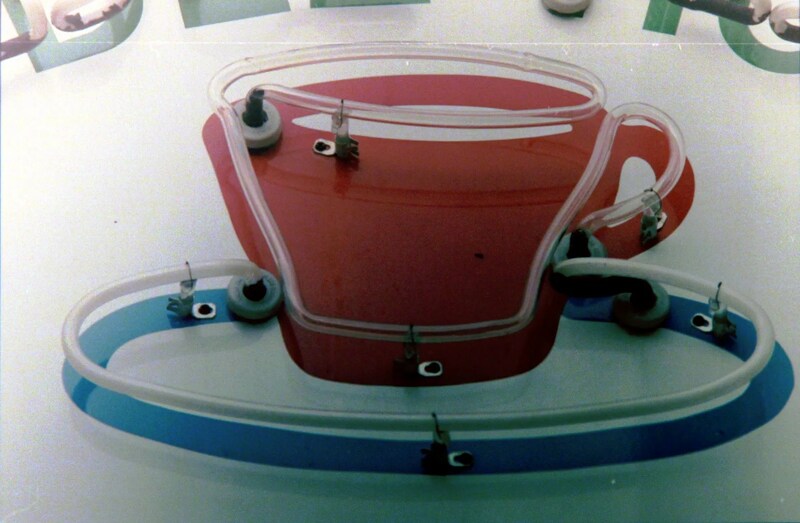 The take out vestibule was an old add-on to the existing porcelain enamel structure. Since Golden House took possession of the building, the back wall of the structure has been removed (along with the interior of the shop), so now this take out glass box forms the exterior wall. 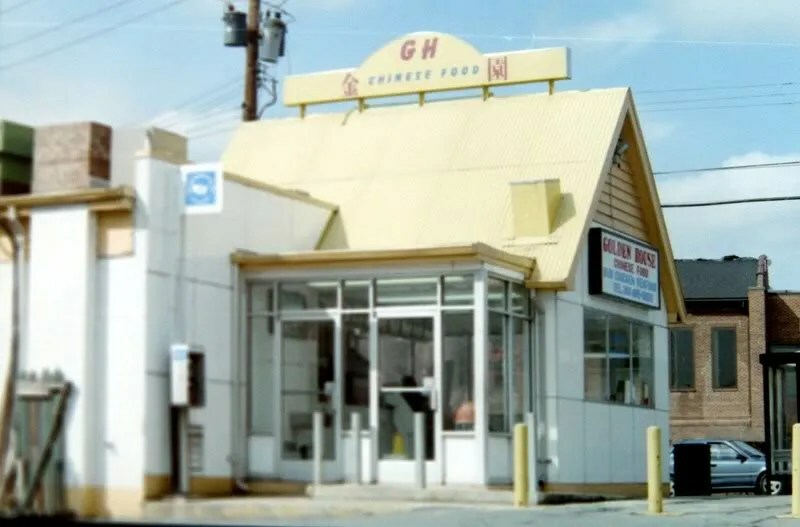 What this location looks like today, as the Golden House. The other Golden House, one of (if not) the last purpose-built building by Little Tavern, put up in the 1970s. The overall lines are the same, but the detailing is much simpler, with less specialized parts than the earlier taverns. This location operated 15 years or so as the Golden House before being demolished in 2008. 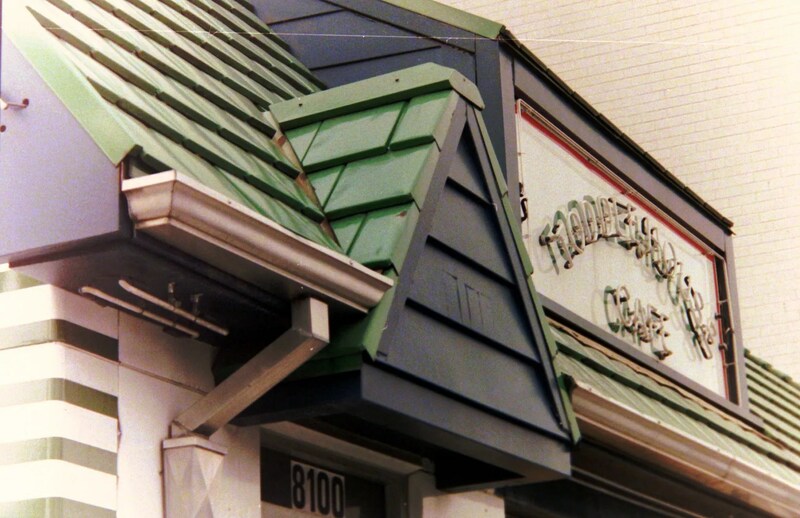 The College Park Little Tavern’s awning still bears the ghost of the Toddle House name.